The large majority of companies that have their equity listed on the Malta Stock Exchange have a December financial year-end. In fact, only 4 companies have a different year-end namely, Simonds Farsons Cisk plc which is in January, Bank of Valletta plc and MaltaPost plc both in September and Loqus Holdings plc in June. In view of the fact that we are only a few weeks away from the December financial year-end, many companies were obliged to publish their Interim Directors’ Statement in accordance with Chapter 5 of the Listing Rules by the third week of November at the latest. Listing Rules 5.86 to 5.88 stipulate that companies must issue such statements twice a year. The first statement must be issued not later than six weeks prior to the half-year end and another announcement must be published not later than six weeks before the end of their financial year. The rationale behind this requirement is to provide the market with an update of the company’s financial position and other important developments since the last publication of their semi-annual financial statements. When the requirement for these Interim Directors’ Statements first came into force in 2007, the initial announcements made by all listed on the Malta Stock Exchange were very brief and provided little value to shareholders and other market participants. Most companies simply resorted to a confirmation as required in the Listing Rules that “no material events and/or transactions have taken place that would have an impact on the financial performance of the Company”. However, it has become very evident over more recent years that the majority of companies have understood the importance of regular and detailed communications to the market. In fact, in the announcements published recently, many companies provided a detailed description of market developments and how this is impacting their financial performance. By way of example, in the banking sector both HSBC Bank Malta plc and Lombard Bank Malta plc claimed that the increases in costs (mainly regulatory) are negatively impacting their financial performance. HSBC reported that during the second half of the financial year it registered a modest decline in profit before tax compared to the same period in 2014. During the first half of 2015, HSBC had already reported an 8.3% decline in pre-tax profits to €36.3 million. 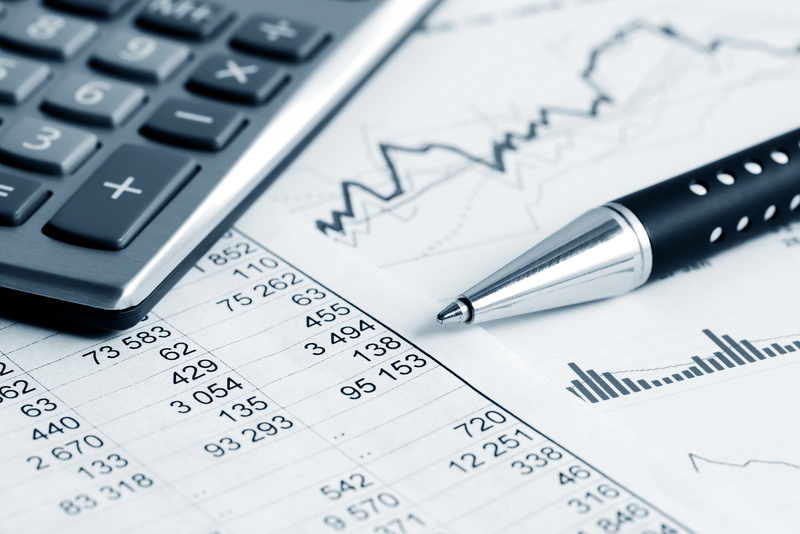 Lombard Bank Malta plc claimed that it continued to experience pressure on its after-tax profits during the first three quarters of 2015 due to higher costs as well as increased impairment allowances. On the other hand, various other companies reported an improved financial performance and outlook. In particular, Medserv plc revised upwards its projections for the second half of the year on the back of better-than-expected financial results for the third quarter of 2015. Malta International Airport plc confirmed that following the 7.4% increase in passenger traffic during the first ten months of the year, it will be surpassing its July forecast of 4.5 million passenger movements (representing an increase of 4.6% over 2014). Another company that reported a positive outlook was RS2 Software plc as it explained that demand for its services remained significant (and in line with that of 2014 as well as the first six months of 2015) not only in Europe, Latin America and Asia Pacific, but now also from other regions such as the Middle East and Africa. RS2 confirmed that it maintains a very strong pipeline of potential business. Meanwhile, one company in particular, Grand Harbour Marina plc, adopts a different approach and provides quarterly key financial items. In its Interim Directors’ Statement in May, GHM provides its Q1 figures for the income statement namely revenue, cost of sales, operating costs, EBITDA, finance costs and depreciation and pre-tax profits. Meanwhile in the November Interim Directors’ Statement, GHM publishes its financials for the third quarter of the year. The investing community as well as financial market participants need regular and detailed announcements from the various companies to remain abreast of industry-wide developments. This also drives trading activity thus enhancing liquidity on the secondary market. It is surely not co-incidental that during the third week of November, trading activity jumped to a 12-week high with just over €1.7 million worth of shares changing hands. This surged to €3.9 million last week (the highest weekly volume in several years) also in part due to the commencement of trading in the equity of Malta Properties Company plc. The heightened activity over the past 2 weeks and the differing movements across various equities confirms once again that the market has become more responsive to company announcements. As an example, the share prices of the retail banks declined over recent weeks due to the weaker outlook across the sector. On the other hand, the equities of other companies reporting improved performances advanced, some of which quite remarkably, also on very high trading activity. The increased efficiency across the market is indeed a positive development indicating a more knowledgeable investing community. The obligation of the semi-annual publication of the Interim Directors’ Statements helped enhance the newsflow between one financial reporting period to the next. A company with a December year-end must publish its half-year results by August and its annual financial statements by the end of April at the latest. Previously, a period of 8 to 9 months without any reporting obligation was far too long. The Interim Directors’ Statements have helped bridge this gap which was an important development for shareholders and financial analysts. Unfortunately, the European Commission amended the Transparency Directive and removed the obligation for companies to issue interim statements. EU Member States were required to implement this change by November 2015 and as such, the Listing Rules of the Malta Financial Services Authority are likely to be amended shortly to remove this obligation. In the UK, the Financial Conduct Authority amended their Listing Rules to reflect this directive one year ago. It is interesting to note that in the feedback statement to the consultation document, some companies indicated that they will continue to publish such interim statements or quarterly financials on a voluntary basis. In my view, it would be best practice for all local companies to also adopt this stance if they wish to maintain a high level of awareness among the investing community and improive the liquidity in the secondary market. Additionally, those companies that have their equity listed on the Malta Stock Exchange should not only replicate the information in the Interim Directors’ Statements but also publish financial metrics and other key performance indicators in such announcements. This would provide more valuable information to the investing community and market participants including financial analysts who require this information to monitor a company’s performance on a regular basis. Moreover, the Financial Analysis Summary that has become a requirement for certain bond issuers has proved to be a valuable document since it provides the market with an update on the financial projections of a company from one year to the next. This enables investors to monitor whether the company is managing to achieve its financial objectives or whether it is underperforming. As I have been advocating in the past, equity issuers should also realize the importance of publishing financial forecasts and replicating the documents being published by some bond issuers. A more informed market will help drive trading activity in a company’s shares. This should be an objective for all companies that have their equity listed on the Malta Stock Exchange and would be a major step forward in the development of our stockmarket.